Technically Hellhounds can do whatever they please. Marion Walker is a 3-piece psych-rock band of sweethearts with sharp teeth. Their music is a head-on collision between doomy, bleak worlds and fuzzed-out, technicolor tones. Marion Walker is fronted by songwriters Jessie Marion Smith (Saint Genet, Dead Bird Movement) and Kyle Walker Akins (Think in French, Yesir) in collaboration with drummer Donovan Jordan Williams (Spitting Image, Penetration Panthers). 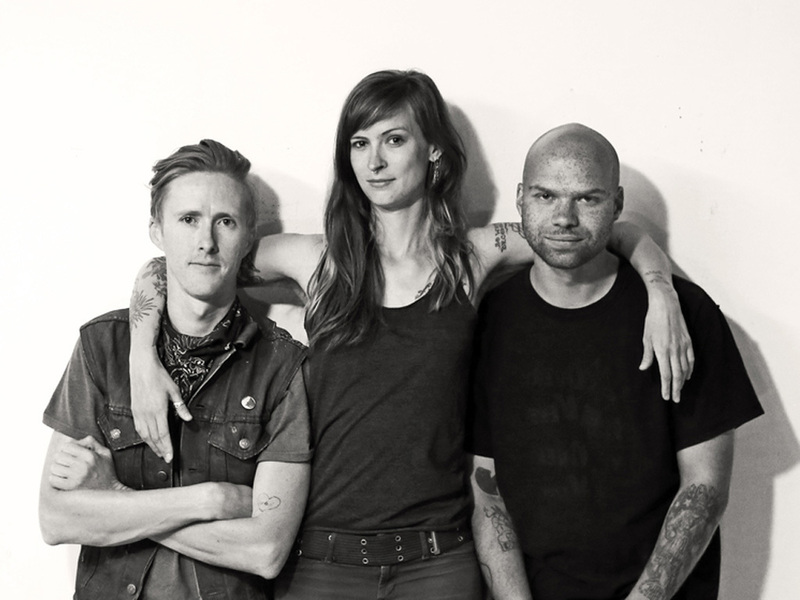 Jessie and Kyle formed Marion Walker in 2012 and split their time between Reno, NV and Seattle, WA. Jessie and Kyle are working artists in addition to their musical pursuits. Jessie is a choreographer, dancer, and filmmaker. Kyle is a visual artist, sound engineer, and filmmaker. They bring their collective experience in these other mediums into every aspect of Marion Walker. Marion Walker’s Serious Picnic tape EP came out on Casino Trash Records (Seattle, WA) on June 23, 2015. Though technically a 3-part suite, the 11-minute and 11-second EP is meant to be consumed in its entirety, as one whole beast. The EP opens up with, “Seriously,” a bouncy fuzzed out eulogy, and blasts straight into the churning, heady vibes of “Silver Drone.” Then “Volunteers” leads you into an electric abyss and finally spits you out in a bittersweet epilogue. The initial melodies for Serious Picnic were developed while trapped in the van on a rainy trip in The Smoky Mountains, and later, while hiding out in the attic above a friend’s bar in Asheville, NC. The songs were polished in the corner of a wood shop in the steamy backwoods of Florida and recorded upon Marion Walker’s return to their home-base on the West Coast in early 2015.